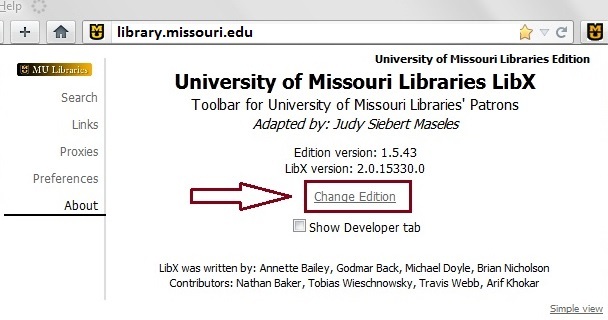 Click on the purple LibX 2.0 sign to the right of your search box in your toolbar. The stacked MU logo should appear. 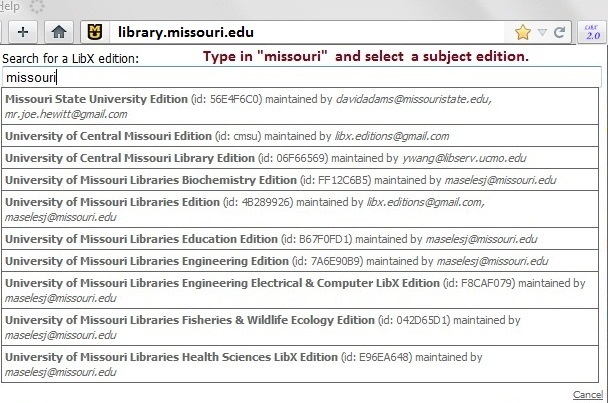 To change the edition later, select the "About link"
You may change your subject edition at any time. Click "About"